On August 24 2018, MEP Ángela Vallina (GUE/NGL) addressed the issue of the death penalty and specifically the case of human rights defender Israa al-Ghomgham, in Saudi Arabia, in a parliamentary question to HR/VP Federica Mogherini. The number of executions in Saudi Arabia has dramatically increased, as has the number of death sentences against political dissidents, specifically members of the kingdom’s Shia Muslim minority. The Saudi authorities have executed more than 137 people in 2017, 154 in 2016, 157 in 2015 and 88 in 2014. In 2018, the Cornell Centre on the Death Penalty Worldwide, has recorded that at least 80 executions have been carried out as of November 21 2018. More specifically, more than 120 executions, including several mass executions, have been carried out since Mohammed bin Salman was appointed Crown Prince on 21 June 2017. There has also been a dramatic spike in the number of death sentences against political dissidents, specifically members of the kingdom’s Shia Muslim minority, some of which are against juvenile offenders. There are at least 28 individuals facing imminent execution after being sentenced by the Specialized Criminal Court for charges related to freedom of speech, assembly and association. Seven Saudis whom courts found guilty of offenses committed when they were under the age of 18 also face imminent execution. The kingdom executed four minors in the January 2016. The death penalty is provided for in the Arab Charter for Human Rights – of which Saudi Arabia is a signatory. However, it is reserved for offenses categorized as the “most serious crimes.” Neither participating in protests, nor non-violent drug offenses thus deserves the death penalty. Besides, the Convention on the Rights of the Child, to which Saudi Arabia is a signatory, bans the use of capital punishment against minors. The kingdom executed four minors in the January 2016 and seven Saudis currently on the death row have been found guilty of offenses committed when they were under the age of 18. On 1 November 2017, the Saudi government adopted a new Penal Law for Crimes of Terrorism and Its Financing, replacing and expanding its previous 2014 law. Like its predecessor, the law includes overly broad definitions of acts of terrorism, allowing the authorities to continue to use it against peaceful critics. The law explicitly provides for the death penalty for certain terror crimes and a prison term of five to ten years for criticism of the King and the Crown Prince. Number of its provisions allow for the circumvention of due process rights and fair trial principles, including pre-trial detention for up to 12 months, with unlimited extension upon court order, up to 90 days in incommunicado detention, the possibility to restrict a defendant’s right to a lawyer during interrogation and to hear evidence without the defendant or his lawyer present. Is the VP/HR aware that human rights defender Israa al-Ghomgham’s life is in grave danger? Has the EU taken — or will it be taking — any specific, effective action to urge Saudi Arabia to abolish the death penalty, such as by imposing an embargo on the sale of arms to the country, as the European Parliament has called for? What action is the EEAS taking in response to Parliament’s resolution of 31 May 2018 on the situation of women’s rights defenders in Saudi Arabia? Even if Israa al-Ghomgham’s family confirmed she has not yet been executed MEP Vallina notes that the human rights activist is still “awaiting sentencing” and “prosecution is calling for execution by beheading”. In a reply, to Ms. Vallini’s question, HR/VP Federica Mogherini stressed that the EU is following “closely the judicial procedure involving five human rights activists, including Mrs. Israa al-Ghomgham” noting that EU representatives based in Riyadh are intending to be present at the session of the trials. While the ECDHR welcomes EU’s engagement with Saudi authorities and the EU’s and its Member States’ strong and univoqual oppositon to the use of capital punishment “under all circumstances and aim at its universal abolition”, ECDHR continues to be worried about the repeated and systematic use of the death penalty in Saudi Arabia. Lastly, The ECDHR urges Saudi Arabia to abolish this practice and impose a moratorium on all executions with a view to the abolition of the death penalty. We also call upon the EU and its Member States to increase the diplomatic pressure to push for such urgent reforms with the Saudi government and impose embargo on the sale of arms to the country. Please find below a full copy of the question of MEP Ángela Vallina (GUE/NGL) and the response of HR/VP Federica Mogherini. Question for written answer to the Commission (Vice-President/High Representative), submitted by MEP Ángela Vallina (GUE/NGL) on August 24 2018. According to various sources, the Saudi activist Israa al-Ghomgham — who has been imprisoned for three years for taking part in peaceful human rights demonstrations in Qatif — had been beheaded. It is thought that dozens of people have been executed this year. Fortunately, however, Israa al-Ghomgham’s family has confirmed she has not been executed, but is awaiting sentencing. The prosecution is calling for execution by beheading. Despite its stated opposition to the death penalty and its commitment to human rights, the European Union maintains close political and trade ties with Saudi Arabia. The regime is the leading purchaser of arms sold by EU Member States, in particular France, the UK, Spain and Belgium. The EU is following closely the judicial procedure involving five human rights activists, including Mrs Israa al-Ghomgham, where the Saudi public prosecutor is seeking the death penalty for all the defendants. 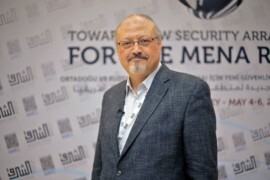 EU representatives based in Riyadh intended to be present at the session of the trial, originally scheduled for 28 October 2018, but now adjourned until a later date, yet to be set. The European Union and its Member States are strongly and unequivocally opposed to the use of capital punishment under all circumstances and aim at its universal abolition. The EU has been engaging with the Saudi authorities seeking clarification on the circumstances surrounding the arrests of human rights defenders in Saudi Arabia since May, notably with regard to the specific accusations brought against them. In particular the EU has emphasised the relevance of the work of human rights defenders and civil society groups in relation to the process of reform which the Kingdom is pursuing as well as the importance of respecting due process for all the individuals arrested. The EU will make use of the diplomatic tools at its disposal to convey its position with regard to the evolution of this case as part of our regular and wider dialogue with the Kingdom of Saudi Arabia on human rights.